With the employment market on the increase, Looking4Jobs has made it easier, quicker and more accurate for employers to find perfectly matched talent, and for job seekers to find opportunities with some of the countires top employers! 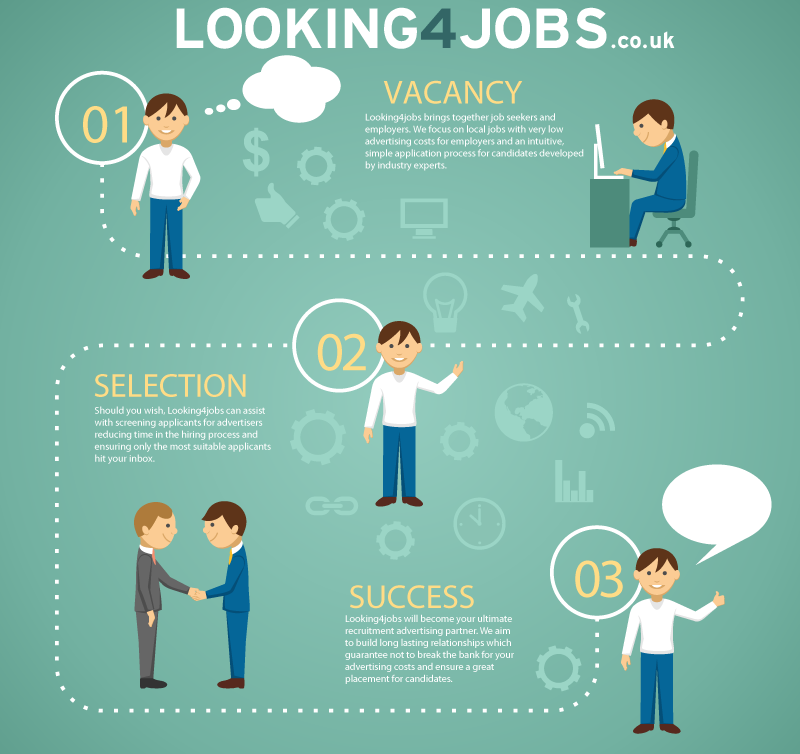 The Looking4Jobs team has had direct recruitment experience, across most industry sectors, giving us a valuable insight into what is required from an online jobs board. Coupled with a big investment in Search Engine Optimisation (SEO) with dedicated developers maintaining and constantly keeping the Looking4Jobs up to date and simple to search, upload jobs and CV’s, means we can continually strive to be one of the most competitive job sites on the internet. We will always maintain to provide employment advertising solutions for a fraction of the price of some of our competitors and other media, finding suitable talent doesn’t have to be expensive! So if you are looking for jobs or looking for staff, why not take advantage of our free trial for all new advertisers?